All about the exclamation mark. It’s a relatively simple punctuation mark — a bold one without a lot of confusing rules — yet it’s still grossly overused. It gives our sentences pizzazz. It emphasizes dialogue when one character shouts or snaps at another. And it gives copy editors headaches. The exclamation mark sure packs a punch. This punctuation mark has two legitimate names: exclamation mark or exclamation point. It adds emphasis to a sentence, indicating emotional stress that could be caused by fear, anger, joy, or some other form of excitement. OMG!!! You’ll never guess what happened!!! I got accepted to my first choice college!!! Wow!!! And it’s a good thing too!!! Because I really need to learn how to punctuate my sentences!!! While this type of usage is acceptable in casual correspondence and other informal written material, it is absolutely forbidden in serious prose and formal compositions. That includes articles, essays, and short stories. Poets may take creative liberties but should use the exclamation mark with care. Too many exclamation marks — either bunched together or peppered throughout a single piece — make reading difficult. That’s right, too much unnecessary punctuation, like other grammatical infractions, create speed bumps that distract the reader. And we never want to distract our readers. Additionally, overuse of this punctuation mark actually reduces its impact. The first exclamation mark on a page will be read with emphasis and each one thereafter will lose impact. Keep them scarce and they will retain their power. Remember, overly frequent use of the exclamation mark is generally considered poor writing, for it distracts the reader and reduces the exclamation mark’s meaning. Typewriters didn’t have exclamation marks until the 1970s. Prior to their addition to the keyboard, an exclamation mark was generated by typing a full stop (period). The typist would then backspace and add an apostrophe over the period. This punctuation mark appears frequently in proper names, such as Yahoo!, Jeopardy!, Oklahoma!, and Moulin Rouge! One writer, Elliot S! Maggin, added it to the spelling of his name in the 1970s. 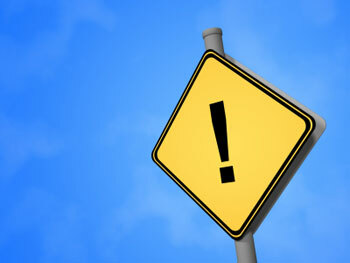 The exclamation mark by itself, on a sign or label, acts as a warning and may indicate a hazard. 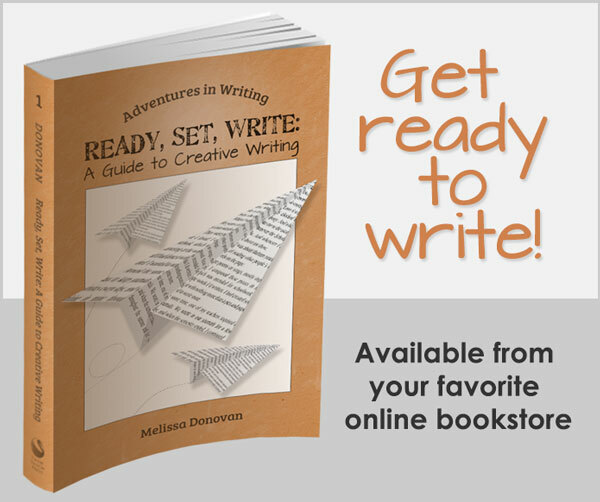 How frequently do you use the exclamation mark in your own writing? 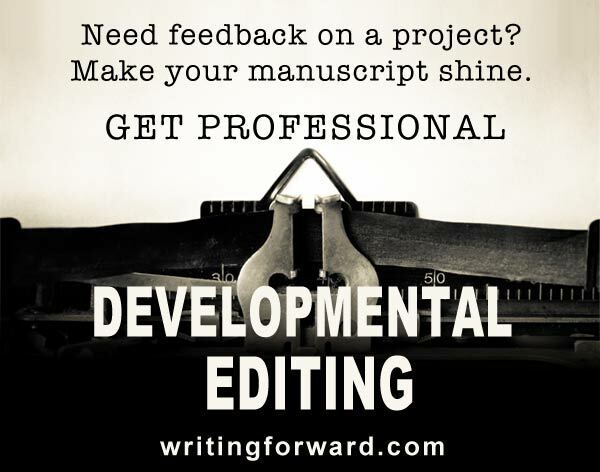 Do you use it differently in casual versus formal writing? Is it your favorite (or least favorite) punctuation mark? Share your thoughts by leaving a comment. Great post! (Is that okay? Haha) I found this particularly interesting because once my sister and I were old enough to start using instant messaging (aka, when it was invented), we discovered that we both use TONS of exclamation marks. Are they hereditary? Haha. I’ve definitely toned it down in IM and I certainly don’t use them in work or emails, but I thought it was funny that we both did it. I’ve overused my fair share of exclamation marks too. They’re so tempting! I almost took the comic books line out, but now I’m glad I left it there. Thanks, Marc. Awesome!!! A girl after my own heart. I loved the comic books line, I totally laughed out loud!!! Just yesterday I wrote about how an exclamation point is like a promise, you only use it when meant. Wouldn’t it be fun to be a comic book writer? Then you could abuse exclamation marks all you want! Hahee! Hi Melissa: The F. Scott Fitzgerald quote is great. I guess exclamation points are the equivalent of saying something a little bit louder than people normally speak. If you do it too much it just sounds like you’re constantly shouting. And nobody likes that. I think it’s hilarious that you said “yes, comic books”, and even more hilarious when you didn’t bother giving an explanation. I ran a brief search on the home page of my blog for exclamation marks. I found eight scattered throughout the page (no more than two per post), so I guess I don’t get too crazy with them. I also realized that many of my exclamation marks follow the word “yay”. Thanks, Kelvin. Your comment made me giggle a little. I didn’t realize that line about the comic books was so funny. Two exclamation marks per post isn’t bad, especially since you’re using them with “yay,” which is surely an interjection. Yay! I am bothered by the exclamation mark, it is definitely not my favourite punctuation mark, but what annoys me the most is that I am always so tempted to use it!<<< see, it just has to be done. But on a more serious note, I do agree that in a serious article, press release or sales pitch the exclamation mark should probably be left out. I am going to make a concerted effort to rein the exclamation marks in. Yes, sometimes you just have to use the exclamation mark to communicate your enthusiasm. Nothing wrong with that! Nothing wrong with reigning them in either. This is weird. First, I’ve been to Sean’s blog and read a fine performance about exclamation point. Then, I found myself here. I think I’ve my fill about exclamation points already. Not that it’s a trifling matter. It is important even for an informal blog post, more so in formal writing. Reading you both has made me a convert. Will try now to mend my partiality to exclamation points. Promise!!! Sean and I must be on the same wavelength! I think it’s a good thing. When you visit a couple of different blogs that are saying the same thing, it becomes more memorable – for me, anyway. Good luck reigning in those exclamation marks! Beautiful points and I like the trivia. I probably don’t use exclamation points enough. I have nothing against exclamation points (except when they’re overused or incongruent), but my favorite mark is probably the question mark. I love the question mark too. It’s really the most attractive punctuation mark, don’t you think? It’s a curious beauty. Hi, just finished up a marketing class & given nearly the same advice. Will definitely tone things down 🙂 how about that smiley face? Funny how those exclamation marks slip in at every turn. Smiley faces too. Everything in moderation, right? Should you use exclamation marks in press releases? You should use exclamation marks when they are warranted. It doesn’t matter what you’re writing. I have a question about exclamation mark use: is it bad to use 2 in a row (!!) like that- are you supposed to only have either 1 (!) or 3 (!!!) but not 2? Someone told me that was the case today, and I thought that was weird. You seem to be knowledgeable on the subject though, so I thought I would ask you. Leah, if you read the article in its entirety, you will find the answer to your question. The exclamation mark has been trivialized to the point where it’s irritating. About the only practical use left for it is in chess annotation, where it is used to denote an excellent move. A brilliant move generally takes two. I have to admit that I cringe every time I see multiple exclamation marks. A lot of people use three. Some use even more. Ugh.